Novi Sad, located on the Danube River, is the capital of the Autonomous Province of Vojvodina and the second largest city in the Republic of Serbia with a population of approximately 400 000 citizens. 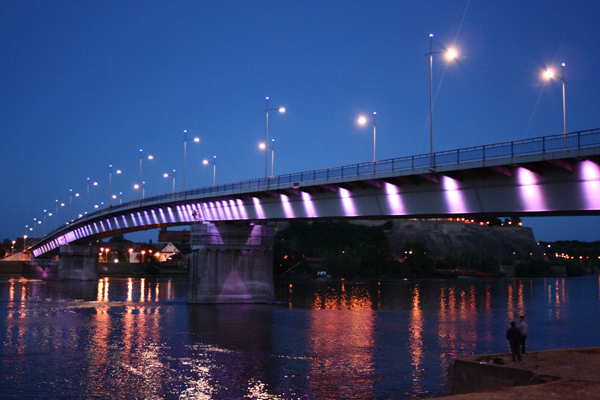 In terms of economic development, Novi Sad is the most up-and-coming city in modern Serbia, with a great potential, not only because it has the highest budget per capita, but also thanks to well-prepared economic development projects. Novi Sad has a 300 year history still visible and radiant and is a multinational, multicultural and multi-confessional metropolis. 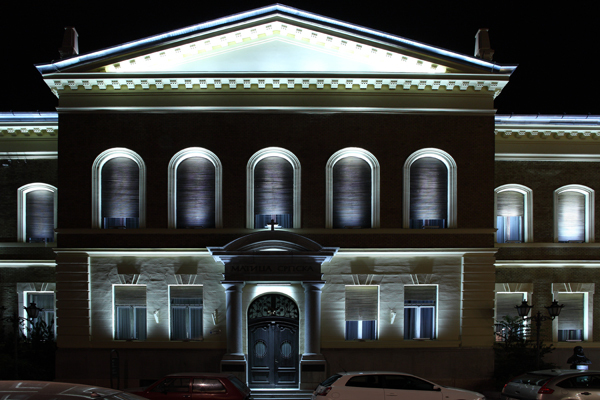 The witnesses to that are Novi Sad Theatre/Újvidéki Színház and University of Novi Sad with 19 faculties and specialized departments at which the lectures are held in languages of national minorities or were founded with that purpose. Lighting of the Boulevard of Europe (from Rumenački road to the canal DTD) with the objectif to make it safe, both for drivers and pedestrians by use of high-quality lighting. 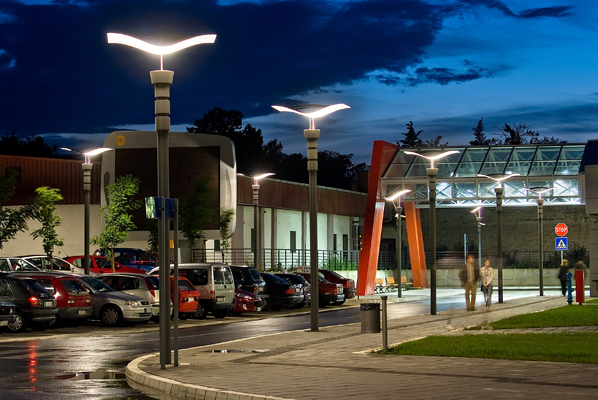 Adaptation of the public lighting in the city and suburbs – with efficient street lighting which implies investing in high quality luminaires and poles. 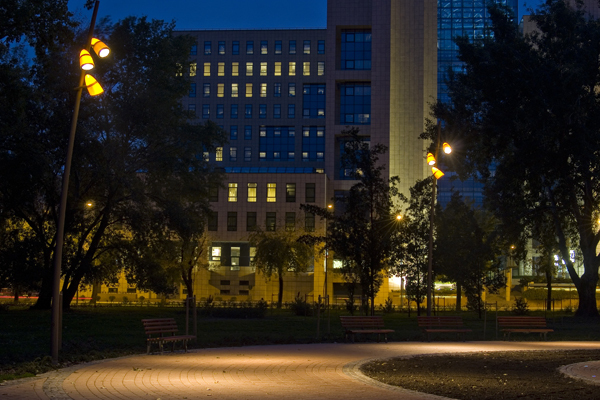 Decorative lighting for public buildings. Up to now, tele-management is implemented in four streets on approximately 400 street light poles. Monitoring and dimming is achieved using electronic control gear, locally or centrally controled by using a neutral conducter. 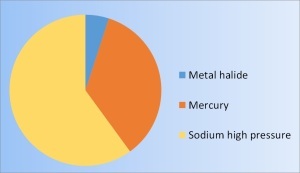 LED lighting is placed in several streets for testing purpose. City beautification is one of the priorities of the City. 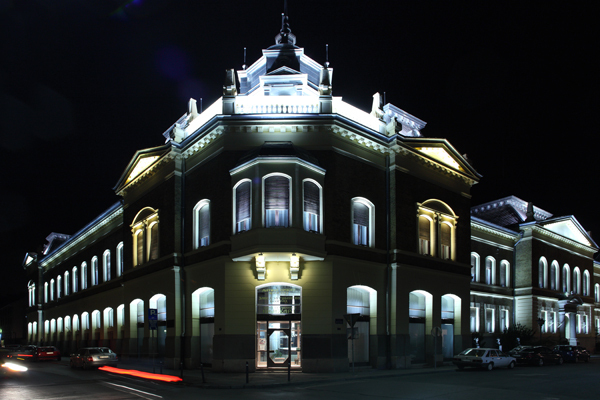 LED decorative lighting has been implemented on the Capital and the parliament of the Autonomous Province of Vojvodina, Matica Srpska building , Varadin bridge, Petrovaradin fortress, Zepter bank and Ortodox Cathedral Church, The Cathedral, Sinagogue, etc. 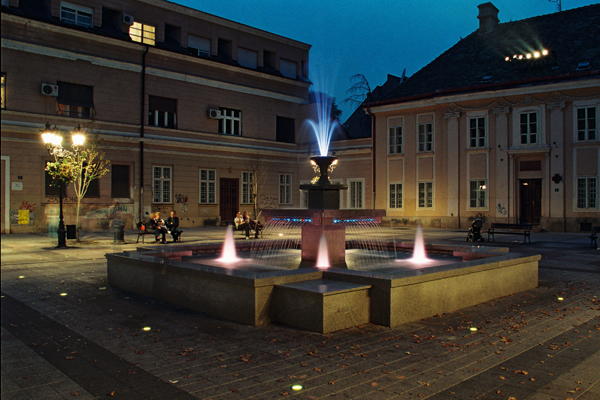 The City of Novi Sad aims to further enhance the urban space through lighting and continue to follow the trends in lighting while preserving the tradition.